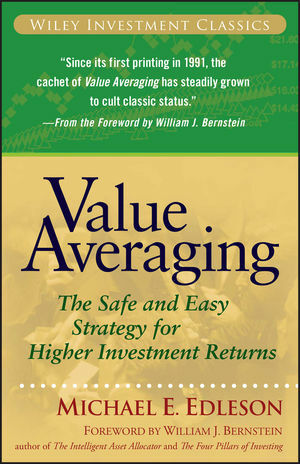 Michael Edleson first introduced his concept of value averaging to the world in an article written in 1988. He then wrote a book entitled Value Averaging in 1993, which has been nearly impossible to find—until now. With the reintroduction of Value Averaging, you now have access to a strategy that can help you accumulate wealth, increase your investment returns, and achieve your financial goals.